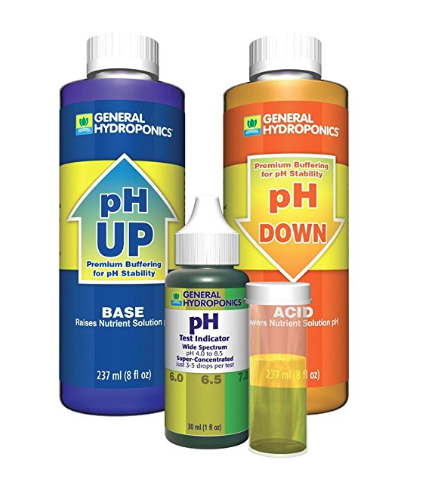 PH Up = Raises the PH level when it is too low. 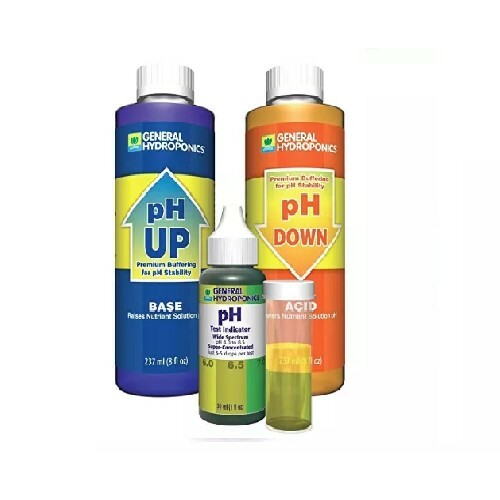 PH Down = Lowers the PH level when the PH is too high. The pH level might seem complicated, but it is NOT. Let me explain it quickly. 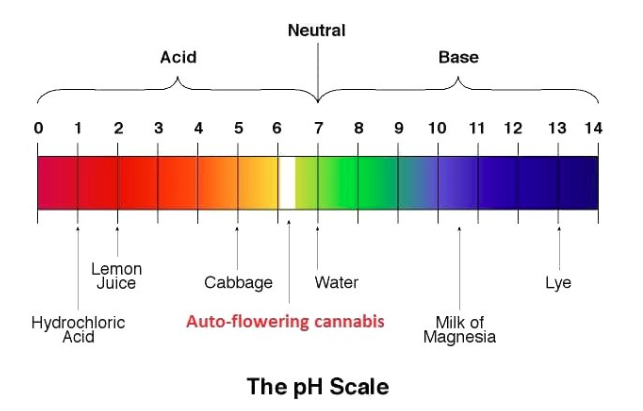 The cannabis plant prefers a pH environment of 5.5 to 6.5. When pH goes below than 5.0 the roots are not able to access – Calcium, and Magnesium because the roots are not soluble. To grow the perfect Cannabis plant, you will want to make sure all the water / nutrient’s give to the plant, are between 5.5 – 6.5 pH level. To find the exact PH Level, you need to use / purchase a PH meter. A small drop of PH Up / Down is all you need to change the water. Just a few drops of liquid. These two small bottles will last the average grower 14-16 months before needing to buy more.